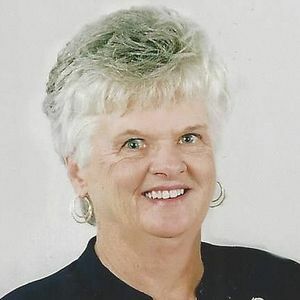 SEBREE - Nancy Lou Mefford, 76, of Sebree, died Tuesday, December 25, 2018, at 3:12AM at Owensboro Health Muhlenberg Community Hospital. Mrs. Mefford was born September 30, 1942, in Muhlenberg County. She was a homemaker and member of Mud River Union General Baptist Church. She was a devoted mother, wife, and sister, who always put others ahead of herself and loved with all her heart and soul. Her greatest joy and love was her family. She was an avid reader and loved her flowers. She enjoyed spending as much time as possible at Lake Malone watching the wildlife and relaxing in the peace and quiet. She will be greatly missed until we are rejoined in Heaven. She was preceded in death by her first husband, Bobby Fleming; parents Paul and Pauline Estes; brothers Jack Estes and Earl Wayne Estes; and sister Anna Gayle Alvey. She is survived by her husband of 32 years, Glen Mefford; daughter Shawn (Chris) Fleming Metzroth; step-son Jeff (Tammy) Mefford; step-daughter Glenna (Gene) Fisher; grandchildren Dean Tudor, Brecca Mefford, and Emily Chambliss; great-grandchild Ender Chambliss; and sister Pauletta (Rondell) Sampson. Funeral services will be Sunday, December 30, 2018, at 2:00PM at Tucker Beechmont Funeral Home, with Rev. Brian Haire officiating, assisted by Rev. David Youngblood. Burial in Forest Grove Cemetery. Visitation will be Saturday from 3-9PM at the funeral home. Online condolences may be made at www.tuckerfuneralhomes.com. Sorry to hear about Nancy's passing. We were classmates; graduating from Hughes-Kirk in 1960. Unfortunately I didn't usually see her except at our class reunions. So sorry. A dear classmate. Shawn, I am sorry I will not be able to make the funeral. My prayers are with you always.. the family is here for you as well.. Love you and you are always in my thoughts.. Your dear sister! Stay strong, find comfort knowing she is in a better place free of pain and suffering!